Hawaiian costumes are always popular during Halloween and any beach-themed parties. So, whether you want to look like Disney’s Moana or just an ordinary island native, you might want to consider getting Hawaiian costume hats. Luaus, soft and sandy beaches, surfing and adventures all remind people of Hawaii. It is one of the most popular places in the world, and for good reason. 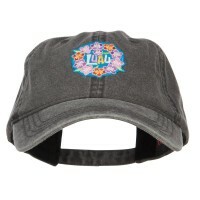 People who love Hawaii and love hats will be pleasantly surprised to find out about Hawaiian themed hats. These hats will keep us happy and keep us remembering the lovely islands of Hawaii. For these Theme Costume Hats, floral patterns are a norm, and in today’s world this is a rising trend in the fashion world. 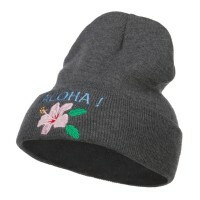 People of all ages can easily wear these hats and experience a taste of Hawaii. Hawaiian themed hats bring together two of the most loved things in the world making them a must have for Hawaii and hat enthusiasts alike. These hats also block out the bright rays from the sun, keeping the eyes and face protected. The Aloha State has never felt close thanks to Hawaiian themed hats. Hawaiian costume hats are not only to be worn for costume parties. In fact, you can wear them at the beach or on your vacation. The thing is that Hawaiian costume hats look very colorful and appealing that you can wear it in any occasion. These hats are made from straw so they come with natural vibes on them. Speaking of tribal vibes, you can also wear Indian Hats and Chinese Theme Hats to represent the Native American Indians and Chinese, respectively, in your costume. But if you are looking for hats that are neutral, why not opt for simple hats that depict ordinary day-to-day scenes and items. Examples of these hats include the Animal Hats, Food Hats, and Sports Hats. These hats are fun to wear and they will definitely add life to the party. Now if you are looking for serious headwear, then you might want to try Gothic Hats and Religion Theme Hats. They might not put you in the limelight but people will still turn their heads toward you especially if you add the right makeup. These hats are perfect for Halloween parties.